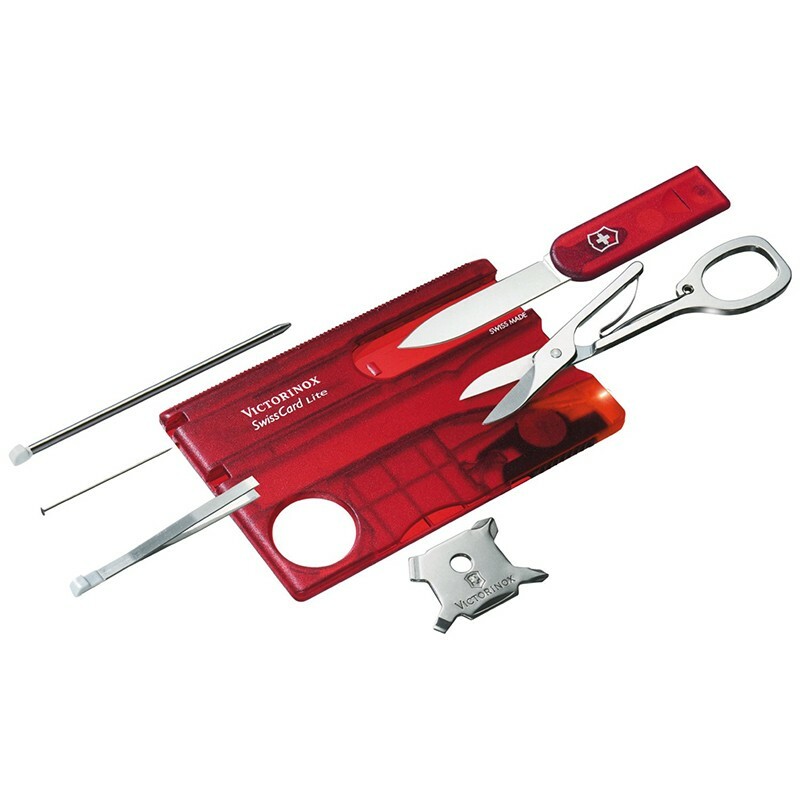 The SwissCard Lite integrates a bright LED light, a scissors, a tweezers, and also various Phillips screwdrivers allows you to repairs Mobile phones, PCs or any other electronic equipment. With its credit card sized format, SwissCard Lite perfectly fits in a wallet or purse. Developped by Victorinoy, the SwissCard Lite received the top "Design" prize at the "Red Dot Award".